Graeme McBurney, Almac Pharma Services’ Managing Director on the University of Derby's Invest to Grow Funding. The expansion of a large global company into the East Midlands incorporated the recommissioning of a facility, with potential for significant growth, and the subsequent attraction of other businesses to the area. Almac Pharma Services Ltd, as a member of the Almac Group of companies; has over 30 years’ experience in solid, oral dose, drug delivery services. 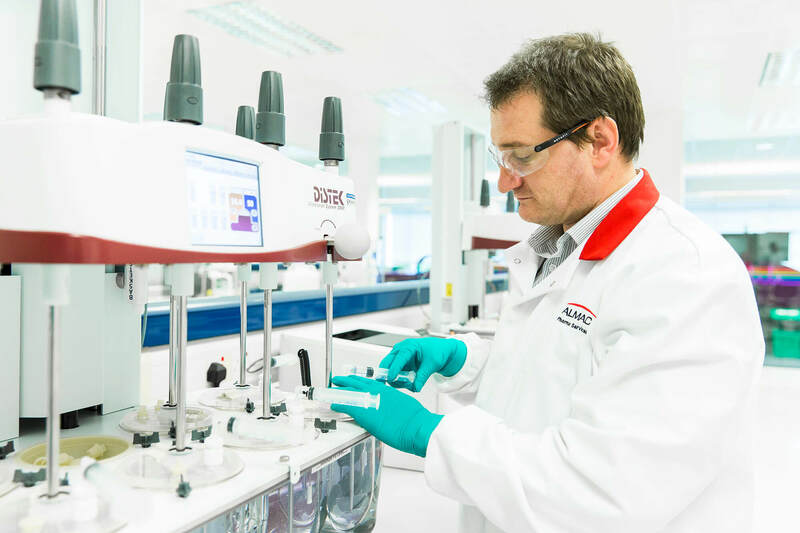 With an expanding customer base and a high demand for its services, Almac Pharma Services already operates within the international market, with sites across the globe. This has facilitated job creation and has progressed the business’ growth. Prior to engaging with the Invest to Grow programme, Almac Pharma Services was seeking to expand its Pharmaceutical Development Services (PDS) in support of customers’ Research and Development (R&D) activities. Why engage with Invest to Grow? Almac Pharma Services’ Northern Ireland site has experienced significant growth in recent years. In order for the company to maintain this level of growth, it set out plans to expand the business and started to assess the suitability of various sites. Charnwood Campus, a 70-acre science, technology and enterprise park in Loughborough, was formerly the base of Astra Zeneca, also a pharmaceutical company. The site’s location and previous use meant it was an ideal place to expand Almac Pharma Services’ production and PDS capacity. The Charnwood Campus site would enable Almac Pharma Services to redevelop vacant buildings, rather than commissioning the development of a brand new facility. This approach would allow the company to ‘jump start’ activities and be operational within two years. The new facility would provide the necessary capability and technology that would enable customers to research and develop new experimental products. Almac Pharma Services was keen to understand what support may have been available in the local area to encourage such a large inward investment infrastructure project. Following engagement with the Leicester and Leicestershire Enterprise Partnership (LLEP), the Invest to Grow programme was signposted. Almac Pharma Services applied for funding in August 2015, and was awarded £1 million, consisting of a loan and a smaller R&D grant, in December 2015. This contributed towards the overall multi-million pound project cost and the projected creation of 58 jobs. What has been the impact of Invest to Grow? The opportunity to secure funding to support the redevelopment of the site was a contributing factor in the Almac Group Board’s decision making process regarding the company’s expansion. Other factors included access to skills and infrastructure, particularly in terms of road and airport access. 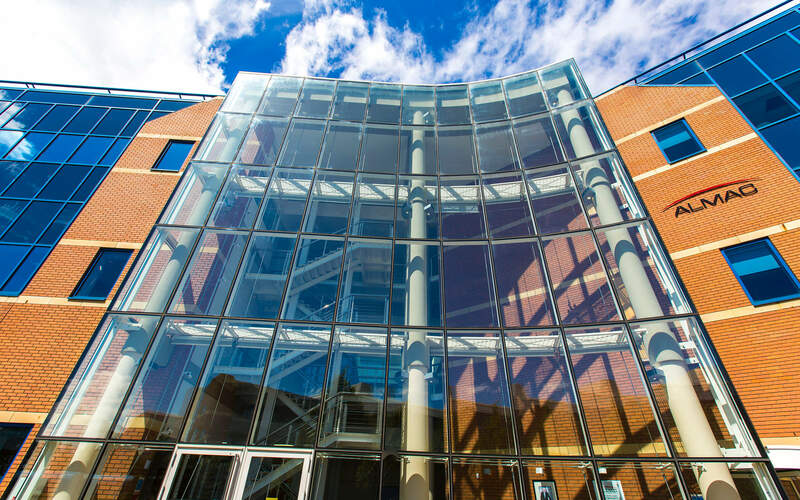 The Invest to Grow funding provided the opportunity for Almac Pharma Services to secure and develop the Charnwood site, thereby expanding its services within the UK. Development began in early January 2016 and by October 2017, following a successful MHRA inspection and tremendous effort by Almac’s staff, the necessary licenses to commence commercial activity on-site were awarded. The new site enables the business to continue to provide a world-class offering to existing customers as well as expanding its global customer base. The investment has already led to the employment of 63 new members of staff, exceeding the original target for growth. The Invest to Grow funding has enabled the business to tap into a new talent pool and find the specific skills that are necessary to work in the sector. Almac Pharma Services’ presence on the site has resulted in an increase in interest from other companies to move to the location. In this respect, it is expected that the company will act as a catalyst for future job creation and investment in the area. Initial discussions between the company and local universities have been positive, particularly regarding the development of future opportunities for students to gain experience in the PDS sector. This will support future graduate employment. Almac Pharma Services is positive about its recent growth and excited about future opportunities to expand its services on the new site. Graeme emphasised the importance of funding schemes for those looking to deliver infrastructure projects and commented that he would recommend Invest to Grow to other businesses.